Donna Billick has been the single most important force in mosaic and ceramic tile world in Northern California. She received her Masters in the 70s at UCD and later went on to pioneer the art and science fusion program and teach in the program until her retirement. Billick’s love of collaboration brought over 20 different local community members together to do a magic carpet ride about Davis. 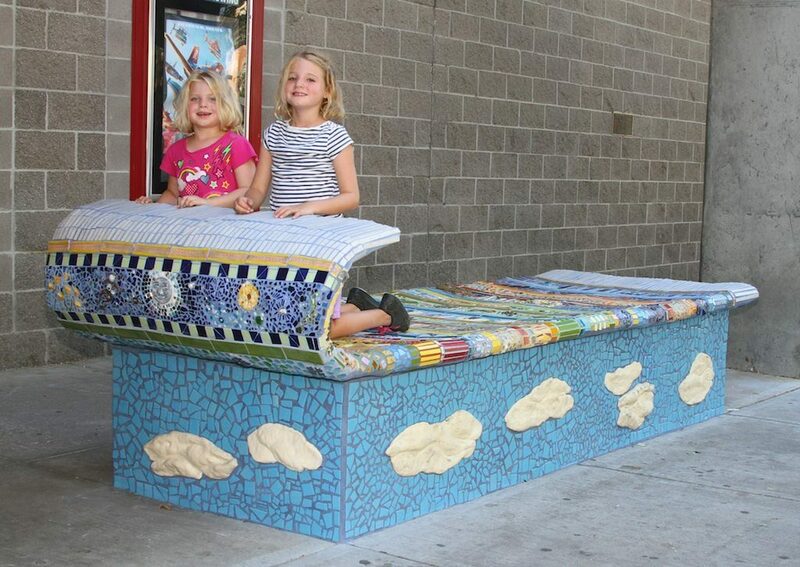 This huge bench, which you often see young kids playing on and simply dreaming about taking a magic carpet ride and having a make-believe trip to a far away enchanted land. Billick is as close as one could get to the Spanish artist and architect Antoni Gaudi.